Mouse anti-human MCM3 antibody recognizes DNA replication licensing factor MCM3, also known as DNA polymerase alpha holoenzyme-associated protein P1, MCM3 minichromosome maintenance deficient 3, or RLF subunit beta. Mouse anti Human MCM3 antibody recognizes the DNA replication licensing factor MCM3, also known as DNA polymerase alpha holoenzyme-associated protein P1, MCM3 minichromosome maintenance deficient 3, cervical cancer proto-oncogene 5 or replication licensing factor, beta subunit. The protein encoded by MCM3 gene is one of the highly conserved mini-chromosome maintenance proteins (MCM) that are involved in the initiation of eukaryotic genome replication. The hexameric protein complex formed by MCM proteins is a key component of the pre-replication complex (pre_RC) and may be involved in the formation of replication forks and in the recruitment of other DNA replication related proteins. This protein is a subunit of the protein complex that consists of MCM2-7. It has been shown to interact directly with MCM5/CDC46. This protein also interacts with and is acetylated by MCM3AP, a chromatin-associated acetyltransferase. The acetylation of this protein inhibits the initiation of DNA replication and cell cycle progression. Two transcript variants encoding different isoforms have been found for MCM3 (provided by RefSeq, Jul 2012). 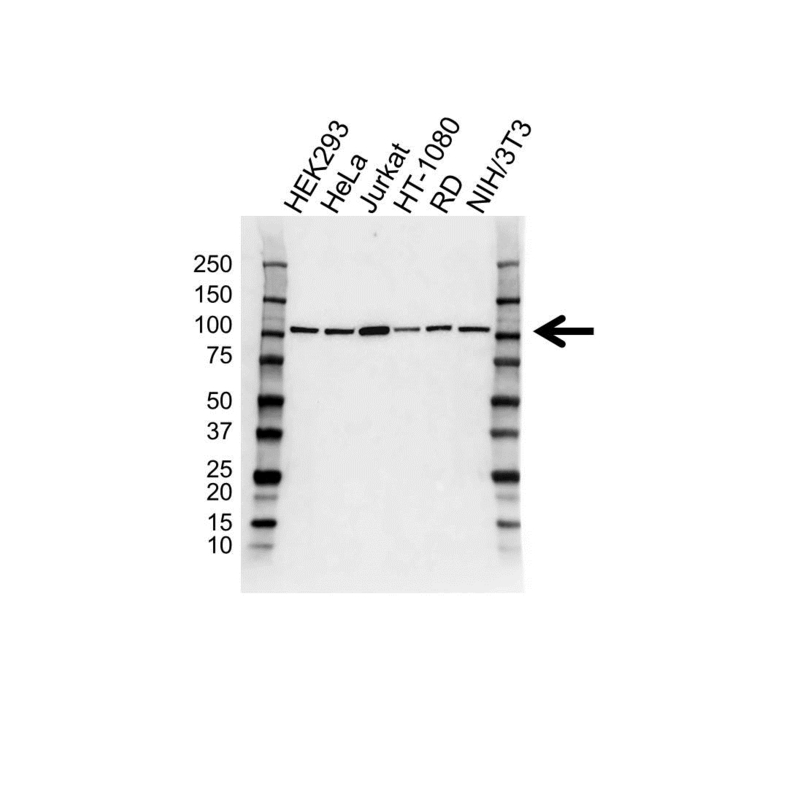 Mouse anti Human MCM3 antibody detects a band of 105 kDa. The antibody has been extensively validated for western blotting using whole cell lysates.